If you’ve been looking for a Halloween card at Target this scare season, chances are you’ve spotted the “Halloween’s Here! 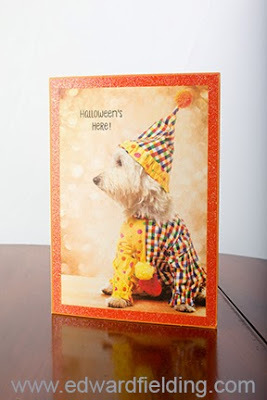 Hope your celebration’s terrier-ific!” card featuring a West Highlands White Terrier in a clown costume on the front. That’s my “Tiki” the wonderful westie super dog model. Tiki has been modeling for me since he was a little pup and loves posing with studio lights. He has come to know the pop, pop of the flash as “here comes a doggie biscuit”. And the very popular “Wash Day” which as appeared on the cover of a regional pet magazine in Florida. There are many different techniques for teaching basic commands like “sit.” Some of the trainers I know and respect use what is called “clicker” training, where they make a “click” sound to acknowledge that the dog has done the behavior desired. And then they give the reward. The dog begins to associate the sound with a treat, and when they do something that gets a “click,” they want to keep doing it over and over again. Think about it as though the clicker is a camera, and you’re “capturing” a wanted behavior. 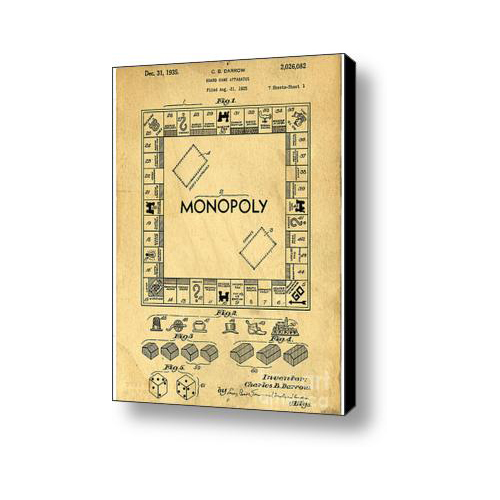 Save on Original Monopoly Patent canvas print in this limited time offer. Open to the first 25 buyers. 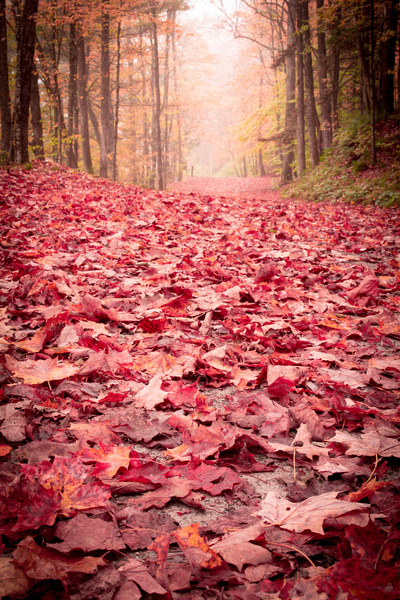 A special run of 16×20 canvas prints for $75. In a previous post about cameras to really learn photography with – https://edwardfielding.me/2014/09/08/which-camera-to-really-learn-photography/ I talked about the virtues of Fujifilm’s retro styled but high tech nod to the classic rangefinder camera’s of old. This line of cameras feature the sweet spot of 35mm lens equivalent and classic easy to read dials for seeing setting at a glance without having to scroll through menus. Great optics and large sensors mean even professionals can get excited about these compact gems.
. With classic retro good looks and a killer set of features, I think this just might be the camera I take to Italy next summer. I love idea of shooting freely with a mighty little camera unencumbered by a big bag of lens and other crap that might just attract too much attention from the pick pockets. What gets me so excited about this little camera? Well for one I just love the concept. Getting back to simple controls so one can truly be creative without wasting a lot of time flipping through menus. The large sensor (16 megapixels) means I’ll have nice big files for printing huge images for my fine art portfolio. The 23mm lens married with the APS-C 16.3MP X-Trans CMOS II Sensor w/ EXR Processor II (same as in crop sensor DSLRs) will give me the equivalent of a 35mm lens on my Canon 6D full frame, which is my “go to” focal length. 35mm is just the perfect focal length of the story telling kind of photography I like to do for the book cover market. My last professional compact camera was the Panasonic Lumix LX-5 which has a couple of major drawbacks. A smaller 10 megapixels, dials that move all over the place in your pocket and no viewfinder. Lack of a view finder (you can buy one for an additional $140 or so) drives me crazy and makes me think I’m shooting with a cell phone. also features a new Electronic Shutter up to 1/32000 seconds – the world’s fastest settable camera, new Classic Chrome Mode which expands Film Simulation Modes to 11 modes and full HD Movies – 60fps, 50fps, 30fps, 25fps, 24pfs with exposure adjustment. ISO up to ISO 51,200. A very exciting feature is a built in intervalometer for time lapse movies. This is something my Canon 6D doesn’t even have. The built in ND filter allows for 3 stops of aperture. No need to screw on an filter to get smooth waterfalls. Bottomline is that Fujifilm took a look at where the market was going. Low end point and shoot cameras are disappearing as consumers pick up cell phones and say “why do I need a camera?” and go snap happy with their cell phone and Facebook. Meanwhile professionals are looking for quality and camera stripped down of all the silly stuff created to entice amateurs. Sure the Fujifilm X100T still has some silly stuff like creative film modes like “sepia!” that any pro will never use when they can do it better in Photoshop but where it counts, quick to use dials, big sensors, great viewfinders and quality optics, the Fujifilm X100T beats out the competition and even rivals DSLRs. 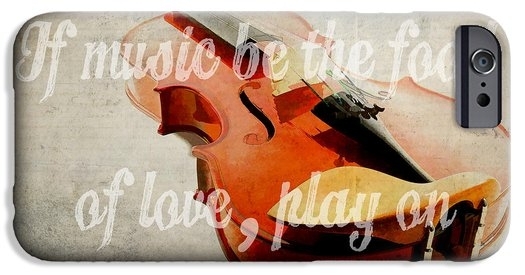 Fun, protective and custom phone cases for your smart phone featuring the artwork of Edward M. Fielding. 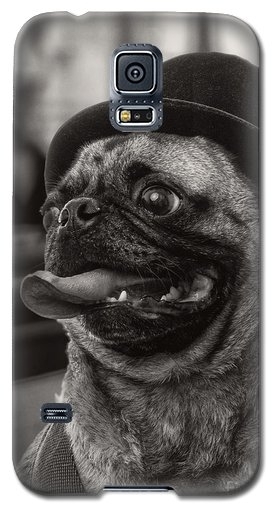 These phone cases can be customized from any of the nearly 2,000 images in the Edward M. Fielding collection including my popular funny dog photographs. Pugs seem especially popular. Any image can be re-sized and cropped by the customer to fit phone cases for all popular makes and models including the new iPhone 6 cell phones. 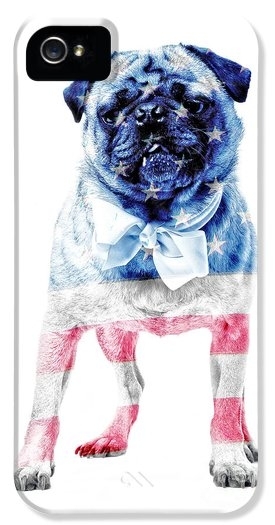 Phone cases are found under the “products” tab which includes wall art, phone cases, greeting cards and more.